Fell Foot Park is an attractive seven hectare garden in the Lake District which has long outlasted the house which the gardens were originally designed to enhance. 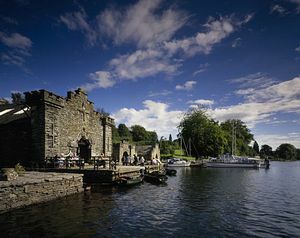 Nonetheless, Fell Foot Park has plenty of attractions in its own right, not least of which is its waterfront setting on Lake Windermere. Fell Foot Park was a grand private estate owned by the Mayor of Leeds, Jeremiah Dixon, in the early 19th century. He sold the estate in 1859 to Colonel Ridelaugh who built the boathouses along the lakefront which now provide useful space for The National Trust amenities. with only the foundations laid and the project never materialised. The estate was given to the National Trust in 1948. There are pleasures to be enjoyed in all seasons at this splendid Victorian park. Spring is welcomed with a "host of golden daffodils" which are enough to make visitors want to recite Wordsworth's famous lines, written in 1804 just down the road at Ullswater. The flowering rhododendrons add summer colour beneath the oaks and pines and picnics beside the lake are called for. In the autumn, the glowing brown foliage on the surrounding Lakeland fells is reflected in the still lake, giving get another lovely picture and with a dusting of snow on the nearby peaks, it becomes the scene from a beautiful Christmas card. Surrounding the lawns are well established deep borders of greenery which can be enjoyed from the elegant and strategically placed white love seats. 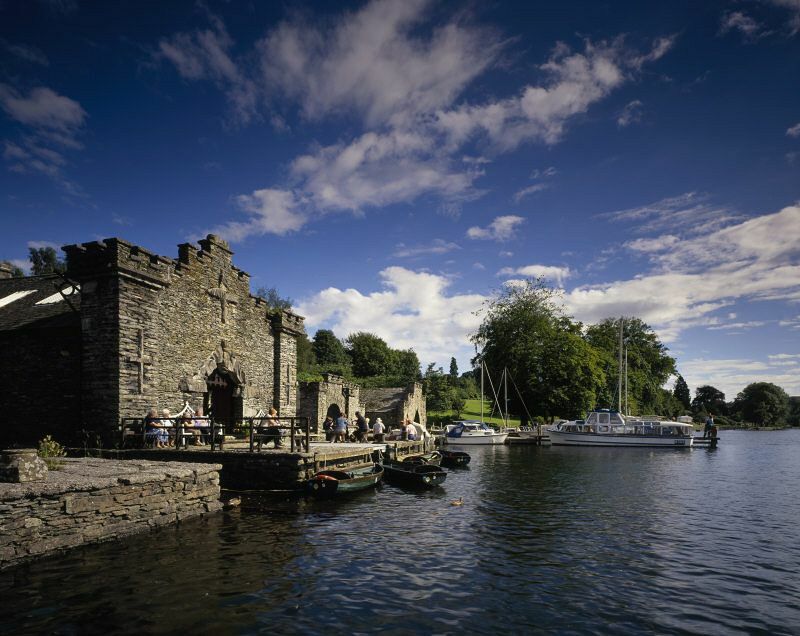 Some of the surviving structures at Fell Foot Park are the impressive boathouses and patio right on the lakeside which offer a tempting menu of local fare at the Boathouse Café. The National Trust Gift Shop is also on the quayside and has a fine range of gifts and locally produced items. Splendid as the gardens are, the National Trust has a full restoration programme underway to restore Fell Foot Park to its original loveliness. Fell Foot Park offers the chance to stroll around the grounds, picnic and fully enjoy the area. 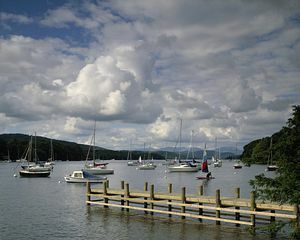 There are regular ferry sailings to Fell Foot Pier from Lakeside, a little further along the shores of Lake Windermere. This is a great way to arrive at Fell Foot Park, avoiding the need to drive and park. 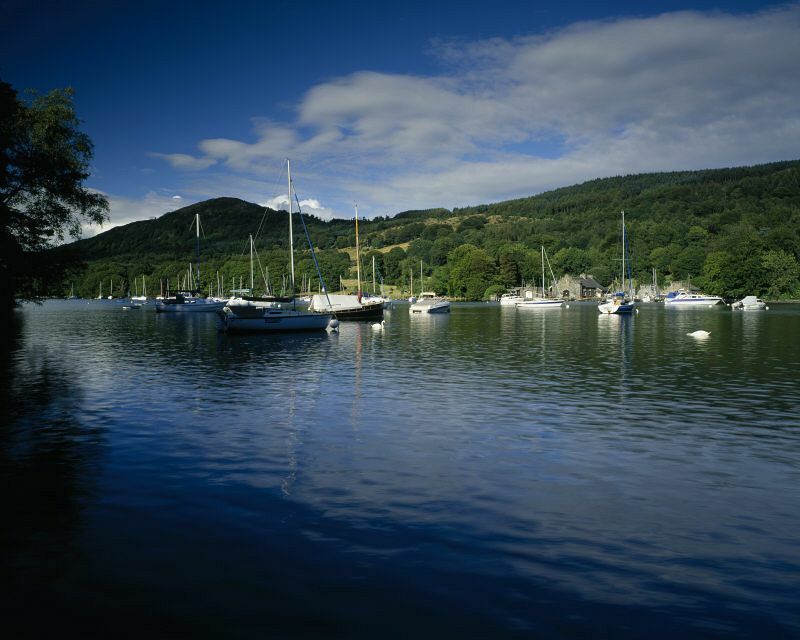 Your day trip can be extended from Lakeside with a trip on the Lakeside and Haverthwaite Railway which regularly runs from Lakeside. Stagecoach Cumbria 618 Ambleside-Barrow-in-Furness (connections from Windermere ). 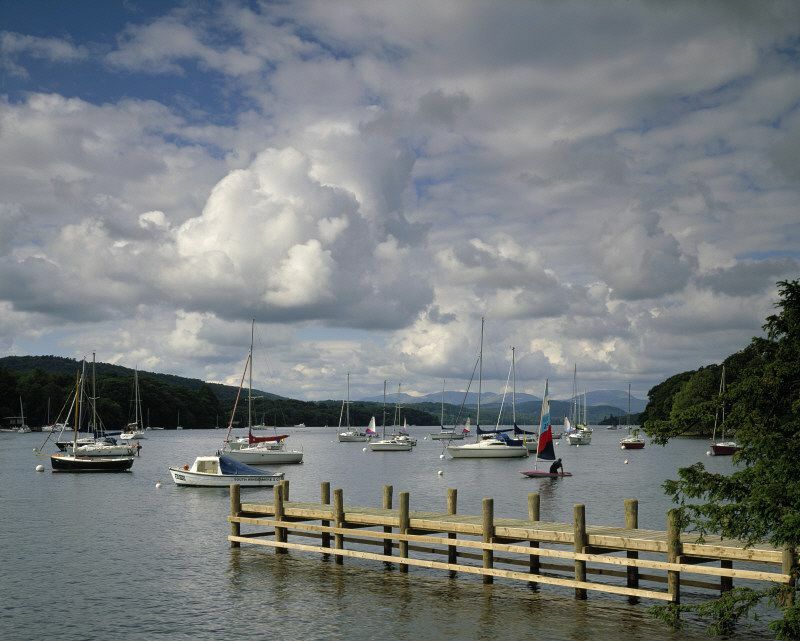 Seasonal ferry links Fell Foot to Lakeside (southern terminus of main Windermere cruise ferries). At the southern tip of Lake Windermere, entrance from A592. 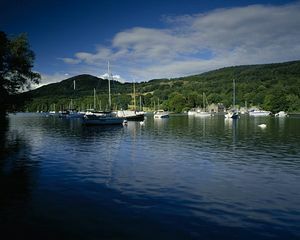 Grange-over-Sands 6 miles; Windermere 8 miles.